THE CRADDOCK-TERRY GALLERY AT RIVERVIEWS ARTSPACE IS NOW ACCEPTING SUBMISSIONS THROUGH MARCH 30TH, 2019. 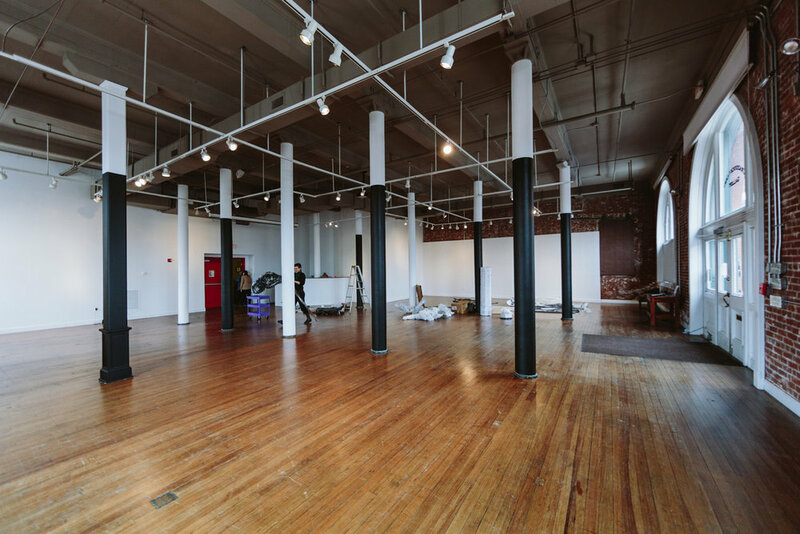 The Craddock-Terry is a 2,500 square foot; street-level contemporary exhibition space in Lynchburg, Virginia’s revitalized downtown. The Exhibition Selection Committee considers artists for both solo and group exhibitions. Artists who work in any media, 2D, 3D, performance, and video artwork can apply. Artists submitting an installation should have a complete, site specific proposal in mind. THE EMERGING ARTIST PROGRAM IS AN INITIATIVE DESIGNED TO ASSIST EMERGING VISUAL ARTISTS TO EXHIBIT THEIR WORK IN A PROFESSIONAL PUBLIC ENVIRONMENT AND GAIN EXPERIENCE IN ALL ASPECTS ASSOCIATED. Participants have the opportunity to build relationships with an expansive community and arts professionals. The combination of exhibition and supplemental programming of “how to” ( curate, artist statements, apply for exhibits, CV) is intended to further recipients’ artistic practice, encourage career sustainability, and best equip them to make their own artistic choices and forge a unique career path. Please email all materials to Victoria Towns, vtowns@riverviews.net subject line “Emerging Artist Application”.